One of Facebook’s many features is Groups, which in some cases are good. The one thing I dislike about Groups is that you can add anyone else – without their permission. This means you could have ended up in quite a few more groups than you realized (and perhaps some that you never would have associated your name with). Now is a good time to make a check of your Facebook groups, and leave the ones you aren’t interested in. This will cut down on potential spam on your Facebook wall. On your main Facebook page, look down the left-hand side for “Groups” and then hover over the area until you see “More”. Click on More. This will give you a list of ALL the Facebook Groups of which you are a member. Look over the list, and if there are any you wish to leave, click on that group name. Once inside the group, click the settings gear wheel (under member photos at the top, right between Notifications and the search eyeglass). For those groups you wish to remain a member of, now might also be a great time to update your notifications. You can do that by clicking on Notifications shown, and selecting one of the preferences. This entry was posted in Hacks, Tips and Tricks, Social Media. Bookmark the permalink. 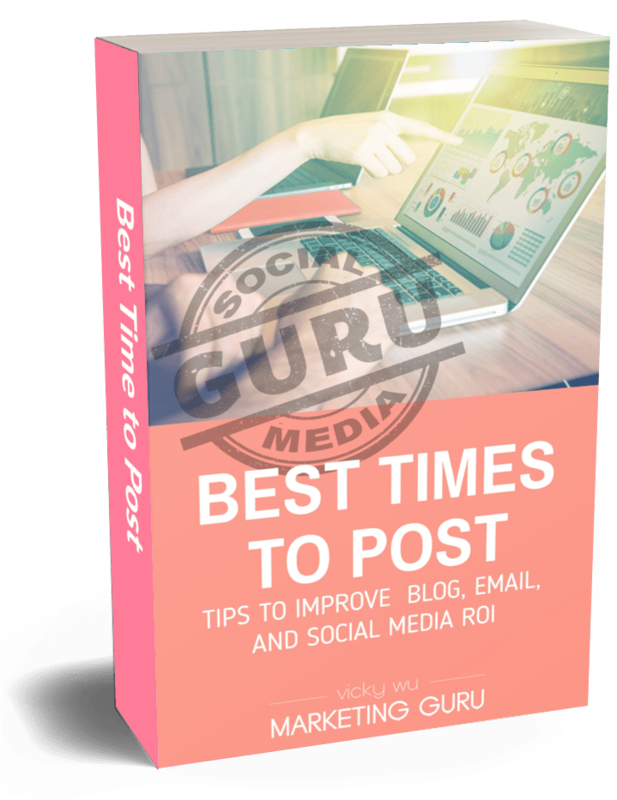 Download this FREE eBook outlining the best times to post and boost your blog, email and social media strategy!